Barcelona qualified for the Champions League knockout stages despite Mauro Icardi's late strike handing Inter Milan a 1-1 draw at the San Siro on Tuesday. Needing a victory to confirm their passage to the last 16 as group winners, Malcom gave Ernesto Valverde's side, who were still without the injured Lionel Messi, the lead minutes after coming on as a substitute (83). Barcelona, who were unbeaten in their last 11 group stage games in the Champions League going into the match, started in confident fashion as Inter needed Samir Handanovic to keep out Ousmane Dembele's powerful effort in the second minute. Lionel Messi was once again not involved, having missed Barca's previous four matches. Messi, who has been recovering from a fractured arm and returned to training last week, had travelled with his team-mates to Italy but was not included in the matchday 18. The visitors dominated possession with Inter always looking to counter and they almost broke the deadlock when Ivan Perisic's low cross picked out Kwadwo Asamoah, but the defender failed to hit the target from close range. Barca were looking the more likely side to break the deadlock though and they should have been in front in the 31st minute. 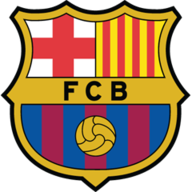 Inter failed to clear Dembele's corner and Gerard Pique kept the ball alive, knocking it down to Luis Suarez, who sliced wide from a tight angle. Barcelona continued to dominate after the break and Handanovic made his best save just before the hour mark, blocking Ivan Rakitic's goalbound shot, but he was blameless for Malcom's opener. 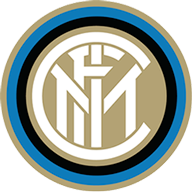 Inter Milan: Handanovic (9), Vrsaljko (7), De Vrij (7), Skriniar (7), Asamoah (6), Vecino (6), Brozovic (6), Politano (7), Nainggolan (6), Perisic (8), Icardi (7). Subs: Valero (6), Candreva (n/a), Martnez (n/a). Barcelona: Ter Stegen (6), Roberto (6), Lenglet (7), Pique (7), Alba (7), Busquets (7), Rakitic (8), Arthur (7), Coutinho (8), Suarez (8), Dembele (6). Subs: Vidal (6), Malcom (7). Barca were on their way to a first win in Italy since November 2011, which would also have seen them seal top spot in the group, but Icardi had the final say with his ninth goal of the season. Despite the late leveller, Barca could still celebrate qualifying for the knockout stage for a 15th consecutive season and they will clinch top spot in the group if they win away at PSV Eindhoven next time out. Inter are unbeaten in their four home games against Barcelona in the Champions League, drawing three of those fixtures (W1). Barcelona have only lost one of their previous 15 games in the Champions League (W9 D5), however, four of the six games they failed to win in this run came against Italian opposition. Malcom is the first player to score on his Champions League debut for Barcelona since Cristian Tello, who netted twice v Bayer Leverkusen in March 2012. Inter Milan played out just their second draw in their last 21 Champions League games (W10 L9), with their previous one coming against Trabzonspor in November 2011. Each of Inter's three goals at the San Siro in the Champions League this season have been scored in the 85th minute or later, with Icardi netting two of those. Icardi will get plenty of plaudits for his late equaliser but Handanovic is the man Inter really have to thank for their point. He was called on time after time to repel Barca, producing stunning saves to keep out Suarez, Coutinho and Dembele. He was finally beaten by Malcom in the 83rd minute but Icardi popped up to ensure the Slovenia international deservedly did not end up on the losing side. Inter Milan are back in Serie A action at the weekend, taking on Atalanta at the Stadio Atleti Azzurri d'Italia on Sunday (11.30am). In Europe, they face a crucial trip to Wembley to play Tottenham on November 28 (8pm). Barcelona are also back in league action on Sunday, taking on Real Betis at the Nou Camp at 3.15pm. In the Champions League, they face a trip to PSV on November 28 (8pm).